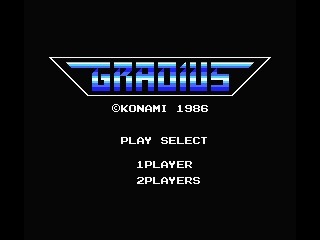 Gradius is a horizontally scrolling shoot 'em up developed and published by Konami, initially in 1985 as an arcade. 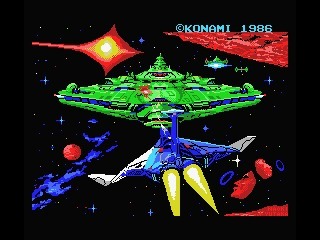 Gradius is a horizontally scrolling shoot 'em up developed and published by Konami, initially in 1985 as an arcade. 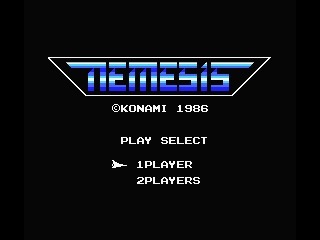 The game was ported to MSX and NES in 1986 and released outside of Japan with the name "Nemesis." 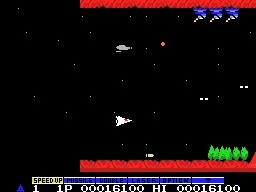 One year later the Commodore 64, ZX Spectrum, Amstrad CPC and other versions saw the light. Gradius was famous for his peculiar power-ups system: instead of different collectible power-ups with various effects, there is only one object to collect. Once you get it, the weapon bar moves to the next position, highlighting a new choice. 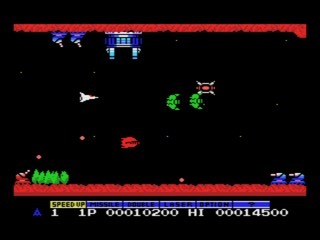 This way the player can decide the improvement he wants to activate: speed, missile, double, laser, option, and shield. 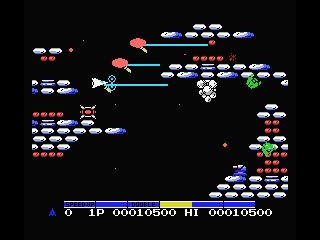 Gradius is full of enemies: flying, terrain, hatches, and big bosses, making the gameplay always fun and challenging. The game sold several million copies, and it's considered one of the best arcades ever created. 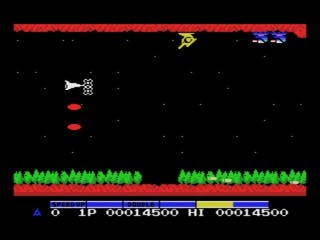 Reviews were extremely positive on all platforms, including the home computer versions. 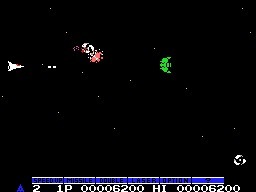 On the NES, it is regarded as the most popular shooter after Contra.